Blade length : 72.9 cm or 28.70 inches. Sori : 2.9 cm or 1.14 inches. Width at the hamachi : 3.05 cm or 1.20 inches. Kasane : 0.78 cm or 0.30 inches. Shape : The wide and thick Nagamaki. The blade shape is very massive and healthy. Jitetsu : Tight Itame hada works very well. It’s called Chirimen Hada. Hamon : Nie based, Suguha and Ko-Gunome mix. There are many Ashi and Yo. Boshi is rather tight and Kaeri style. 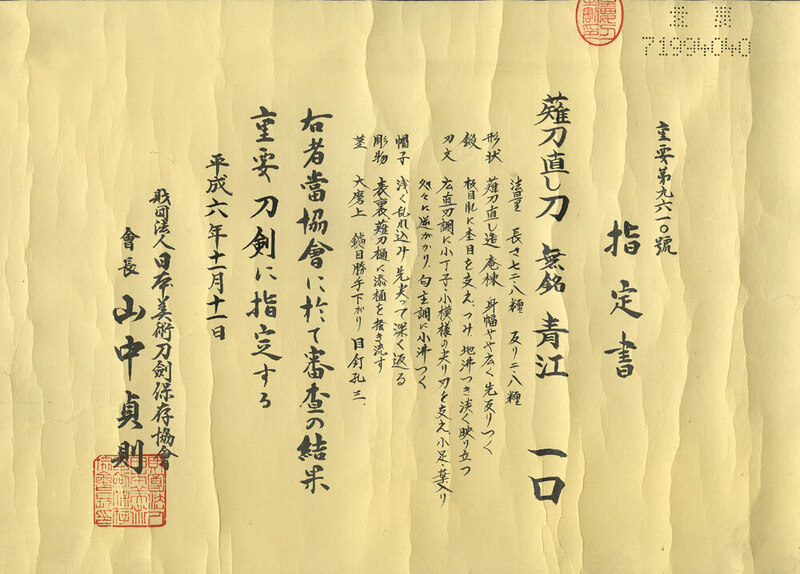 Special feature : The Aoe School had been prospered at the lower reaches of the Takanashi river in Bichu province. The works before middle Kamakura period is called “Ko-Aoe”. This blade has massive and healthy shape. 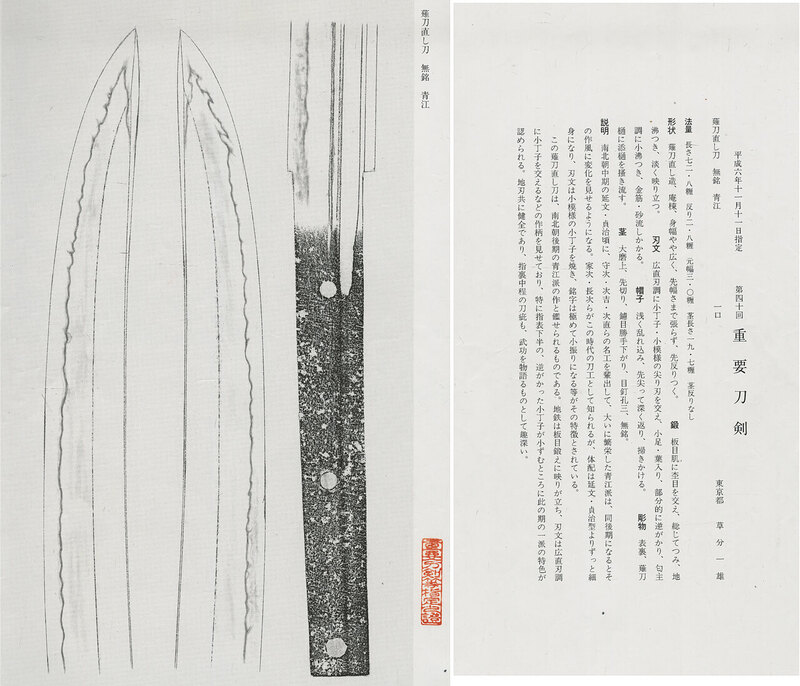 And this blade has Homare-kizu on Shinogi.